Amelia Angus nee Gurney was born July 16th 1820 and died September 3rd 1893. We were indulged with a repetition of former mercies a sweet little girl was added to our family. We gave her the name Amelia. She has always been an interesting child, gentle and affectionate and I may add dutiful. 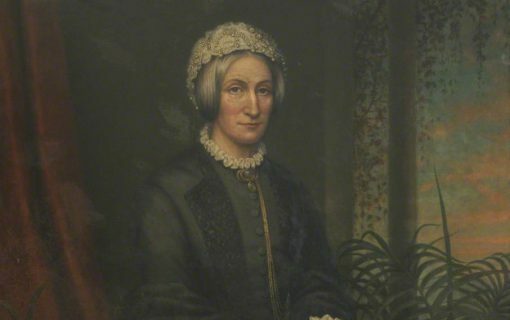 She has followed the example of her dear elder sisters in devoting herself to the service of the Redeemer and providence has placed her in a connection to which I trust she will be eminently useful in the Redeemers cause. Amelia was not only supportive of the students she was also a founder of the Zenana Mission Society in 1868 and she the continued to write to the missionaries for the next 24 years.